In my last tutorial I showed you how to color match text & shapes in Photoshop Elements, but what if you need to match colors outside of that? That can be done too! 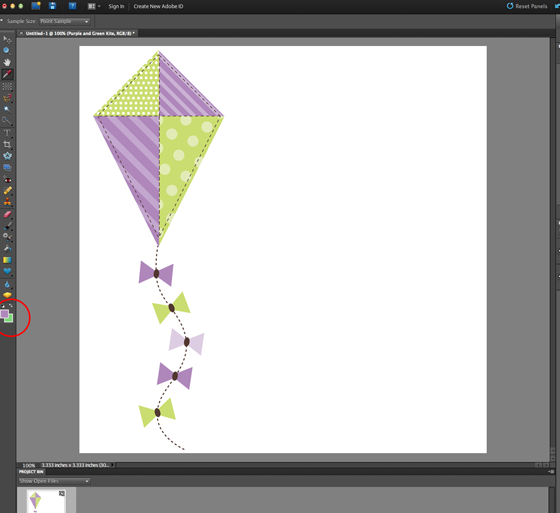 First, if you are unfamiliar with the eyedropper tool please refer to my last tutorial here. 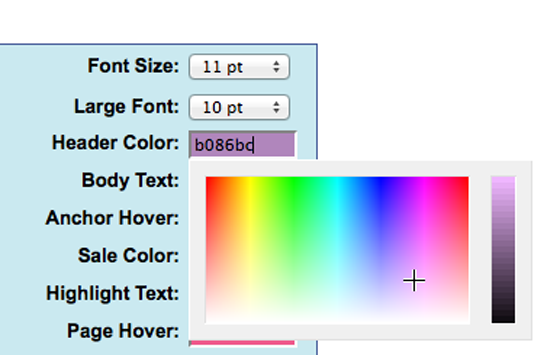 From there click on the little box with your color matched color and you should get a new screen. 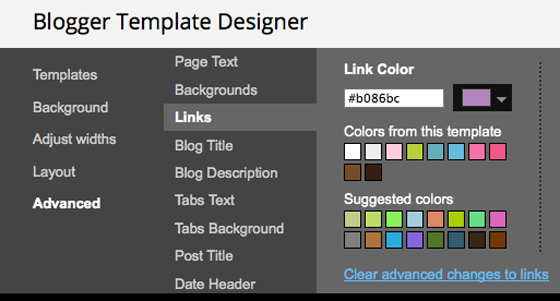 As an example, I went into my blogger template and typed in the hex code to change my post title color to purple. 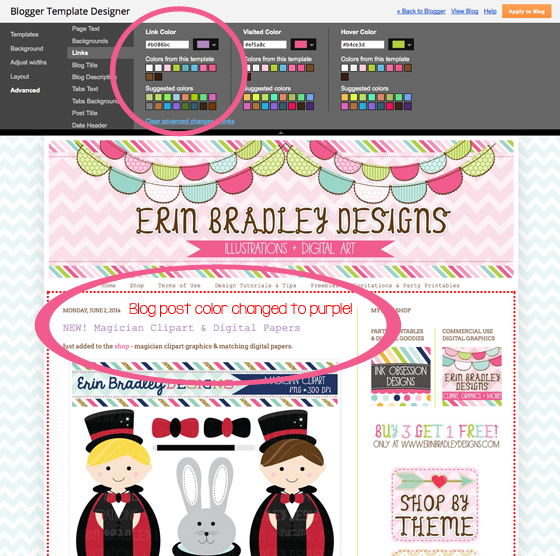 Here's an example of how I could change the color on my website (FYI - I use Pappashop and you can do this in the "Fonts & Colors" page of your admin screen there). 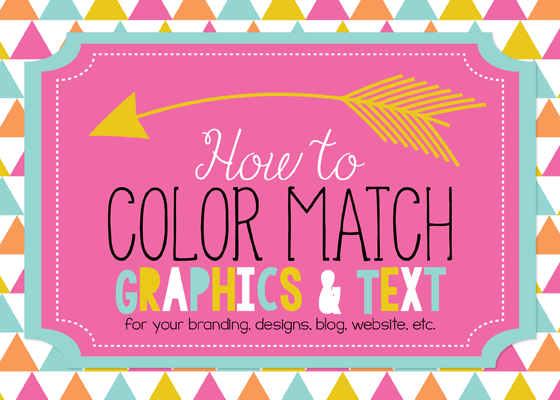 What if you are drawing up your own graphics, however and need them to match? 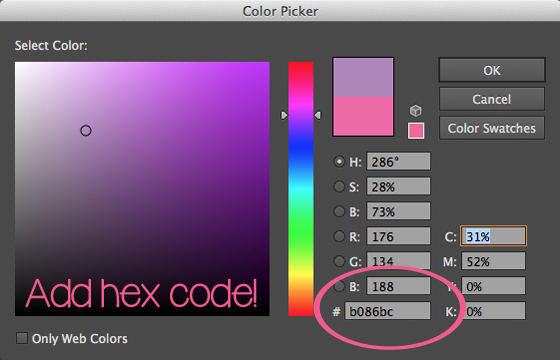 Here's an example of how I brought the color into Illustrator. I simply drew up a rectangle (yes, I know this is the most boring graphic ever, but I thought it would be OK for an example!). 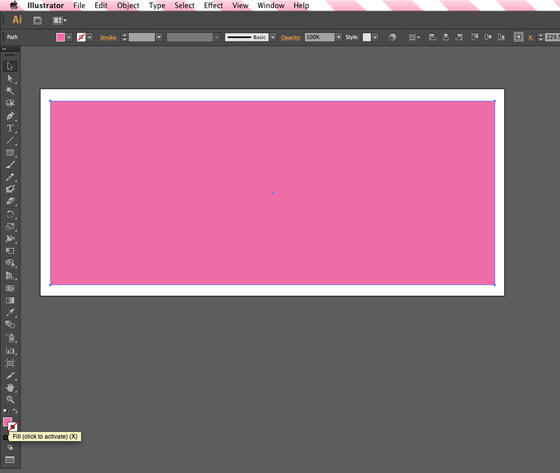 The last color I used in Illustrator was pink, so pink just naturally came up first. 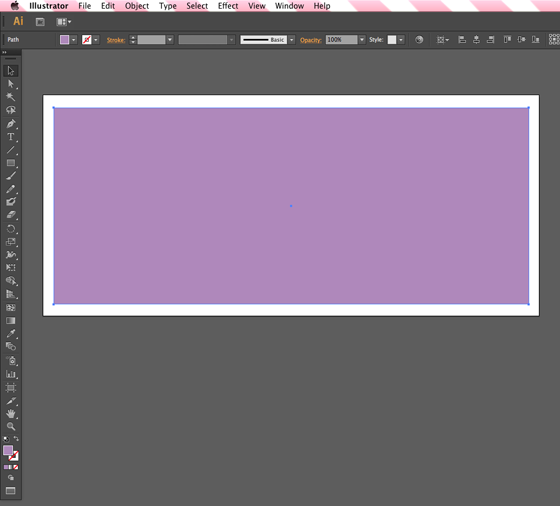 And now your graphic is purple and has been color matched! If you will be using the colors in your branding it will also be helpful to keep a copy on hand, especially if you work with any outside designers who may create any branding products for you. 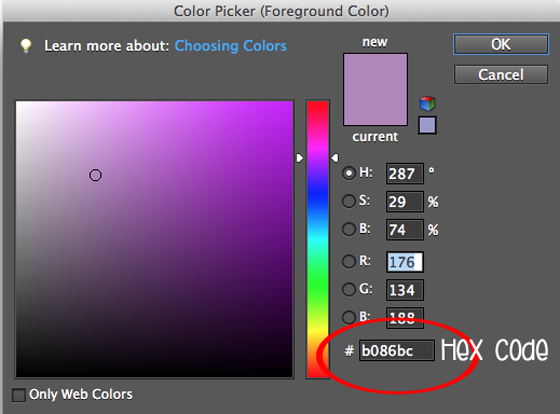 That way you can keep your colors as consistent as possible.